We are proud to support Stonewall. The charity has had a huge effect on our lives and obviously on the LGBT community as a whole. The change that’s been made is quite staggering. You feel more valued, you feel more confident, you feel you can play a role in society without having to hide in the shadows. There’s absolutely no doubt in our minds that none of this would have happened without Stonewall. Stonewall has had a huge effect on our lives and the whole LGBT community. Our expectations and our hopes have been totally transformed by their work. 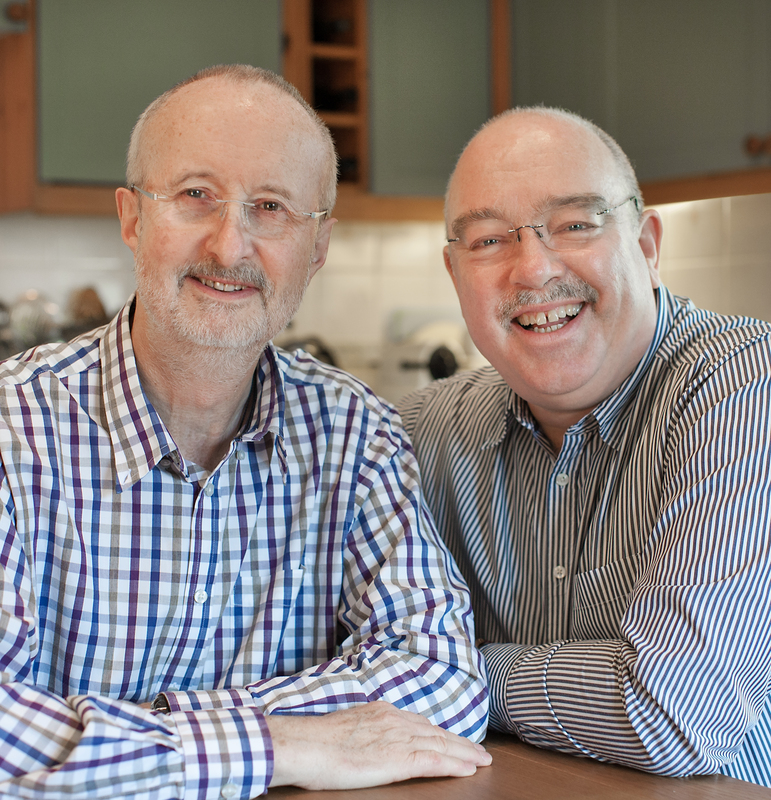 We think we were the first gay men to foster. We never thought of being foster parents in a million years because it was something that, in the climate of the time, you would never have suggested. There was just no question. We had social workers crawling out of the cupboards and going through our lives with a fine-tooth comb. But after the vetting process took place, we were approved as foster parents. We think it was the best thing we ever did. We got married on the first day that it was possible. We got civil partnered on the first day that it was possible and then we got married on the first day that it was possible. We really strongly believed in doing it, not only for ourselves but because Stonewall had worked hard and were largely instrumental in getting both on the statute book. It was a radical legitimisation of who we are. It was ridiculously romantic and almost unreal. Despite the progress that’s been made, there’s still so much to do. We decided to leave a gift in our will to Stonewall because their work is so important, and despite the progress that’s been made, there’s still so much to do. We both volunteer in the Stonewall office but would love to think that money left in our wills would also allow us to have a lasting legacy. It may be several generations from now until Stonewall can truly say ‘job done’ (especially internationally) , so legacy-giving is our way of supporting the future of all our fellow LGBT citizens.